Embark on a journey that brings you to the Forerunner world of Lumoria. When a scientific research crew sends out a beacon of distress, the UNSC frigate "The Endless Horizon", a frigate class ship, is sent in to execute a low-profile search and rescue operation. On board is May, a female SPARTAN II super soldier. Bred for combat, built for war. Along her side are a hardy group of higly trained ODSTs, lead by Gunnery Sergeant Brandon Keiffer. Drop in behind enemy lines and extract any remaining survivors as you race to uncover the secrets of Lumoria. This is the COMPLETE PACKAGE of the Lumoria Campaign. It includes all files neccesary for a full playthrough. Throughout many beta tests, there was much notice of an exception that occured with the non-defualt sound related dll files. While we have done our best to get rid of these, the DEFUALT dll files are included in this package in a seperate folder called "Sound DLL's" just incase. While you may not need them, you may want to install them to be safe. If you do not install them and you find yourself to have an exception, please install these to complete your playthrough as they will most likely fix it. (if not please post in our release thread or email us at mail@lumoriace.com). The DLL's are simply installed by placing them directly into your main Halo Custom Edition folder. Make sure you backup your previous ones before hand! 1. Extract the contents from the .zip or .rar file. 2. Locate your Halo Custom Edition/maps directory. 3. 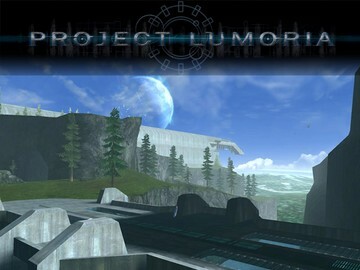 Please place ui.map, lumoria_a.map, lumoria_b.map, lumoria_c.map, and lumoria_d.map into the maps directory of Halo Custom Edition folder. 4. Press Lumoria in the new main menu, select "New Game", and enjoy!